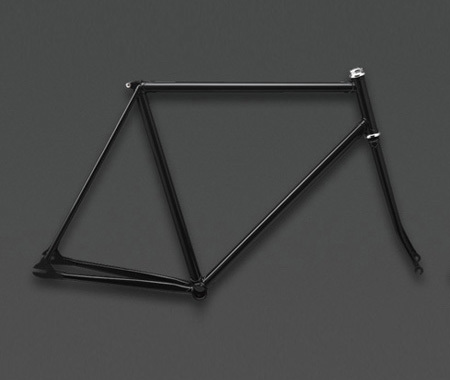 These framesets are available for pre order from bertellibici.com now. 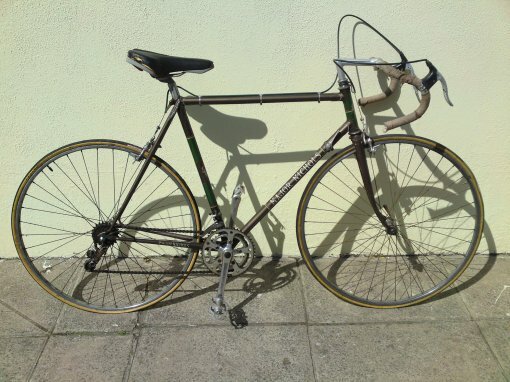 Priced at $549. 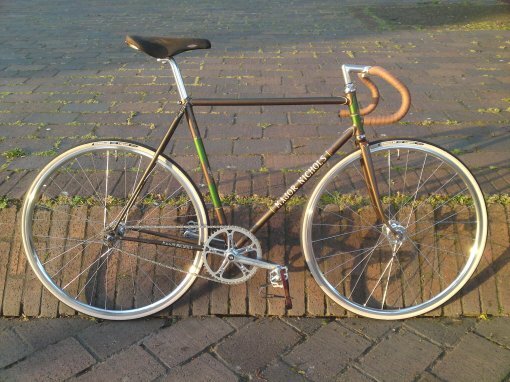 Tidy. 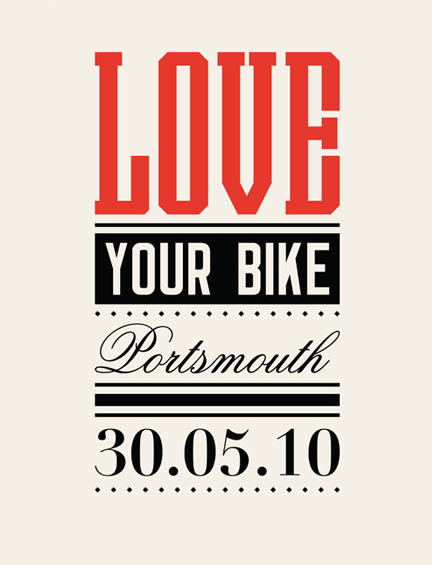 Southsea Skatepark is the venue for the main Love Your Bike Portsmouth event from 10am-5pm. Limited quantities of goodie bags so to avoid being left out get there early. It’s going to be an action packed day with Ben Wilson showcasing his bikes and welding on site. 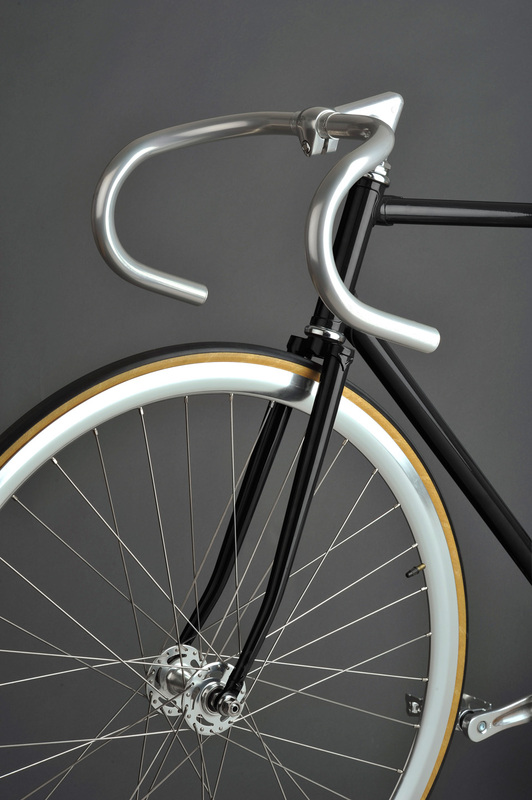 Death Spray Custom will be airbrushing bikes, Tokyo Fixed Gear have a mini shop, Gocycle will be offering demos of their bike and showcasing special custom editions, RAW Bamboo will be bringing a few of their bikes and the new Fixei range will also be unveiled. There will be loads of workshops and offers of help with customisation from various people including Portsmouth Creative Movement, Stu Rodda, Ian and Adam Macpherson. 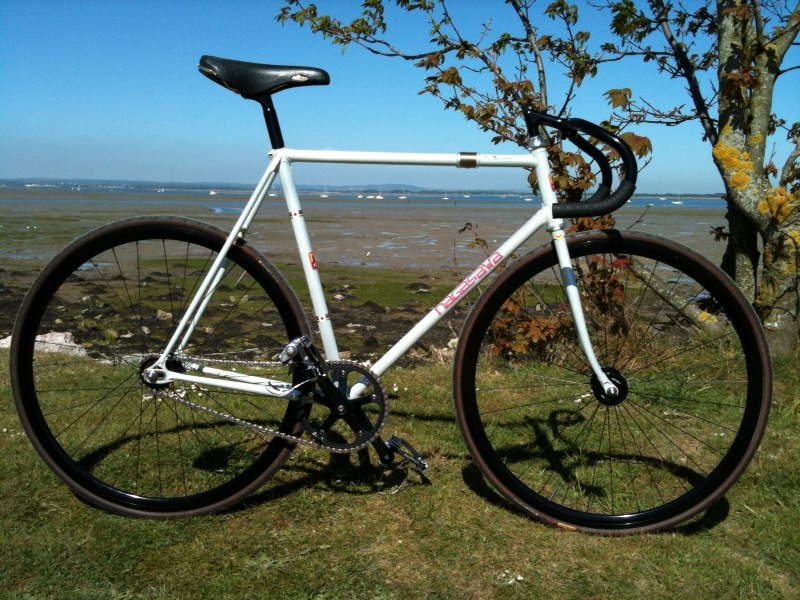 Badger Press will be bringing a screen printing set-up so that you can design your own bags etc, The Caravan Gallery will be bringing their own eclectic mix of cycling photographs and Southsea Gallery will be selling artwork including some of the spoke card designs. Bike Polo and BMX Demos and the winner of the Schools Competition will be announced. Looking forward to it, hopefully the sun will be out! 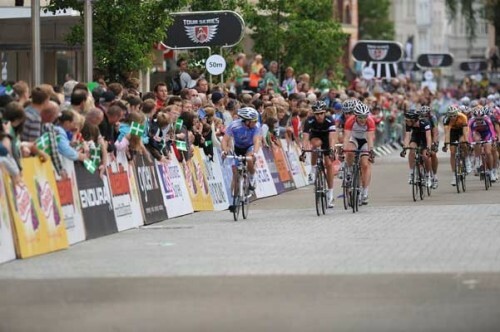 The 2010 Halfords Tour Series takes place across ten cities, and sees ten teams of five professional cyclists battle it out to be crowned the best team in the country. In each round of intense, fast paced and gladiatorial circuit racing, the teams compete to place their top three riders in the highest positions. The 2010 Halfords Tour Series boasts the strongest line up yet of the UK’s elite riders, competing to wear the Halfords leader jersey and to be crowned the champion team in Britain! On Tuesday June 1st Round 3 of the 2010 Halfords Tour Series takes place in Portsmouth and between 2pm and 3pm the public can sign up for a turn around the track. This will be followed by some races organised by British Cycling and then the main race at 7pm, ending at 8.15 with the podium presentations at 8.30pm. 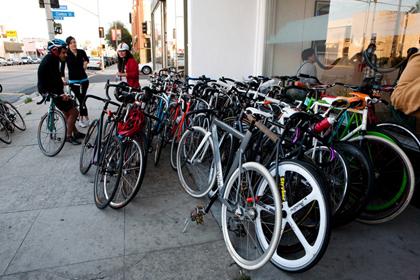 Project Space opened its latest exhibition the other day with a warm reception for the MASH Team, celebrating the collective’s accomplishments during last year’s Tour of California. The event played host to the premier of a new 12-minute video short of footage and reflections from the MASH team during the 2009 Tour in addition to an installation of photographs from the intense 750-mile course. Images of the opening are offered below, while the show itself will remain on display through June 6th, 2010. Source. 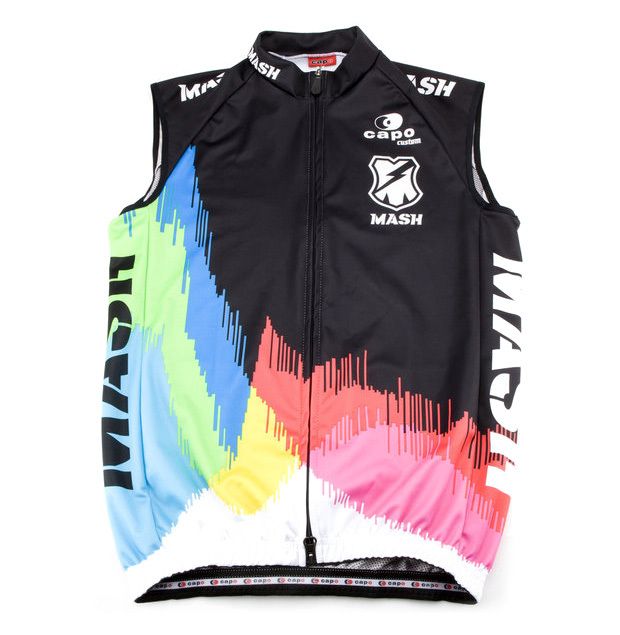 MASH SF pull the covers off their latest team kit with a meaningful aesthetic based on their backyard and playground, the hills of San Francisco. 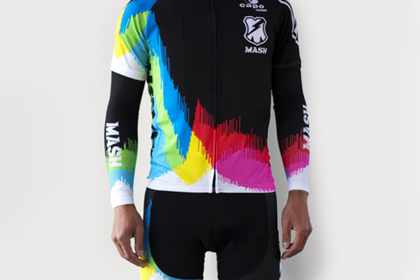 The colorful kit is based off the histogram of a photograph taken of San Francisco and coincides with their Tour of California. The 2010 Team Kit includes a jersey, bib, vest, armwarmers and kneewarmers. Available now through the MASH SF online store. Source.